Period: Late Period, 664-332 B.C. Provenance: New York private collection prior to 1948, since then in a family estate. Condition: The surface slightly rough, otherwise well preserved. 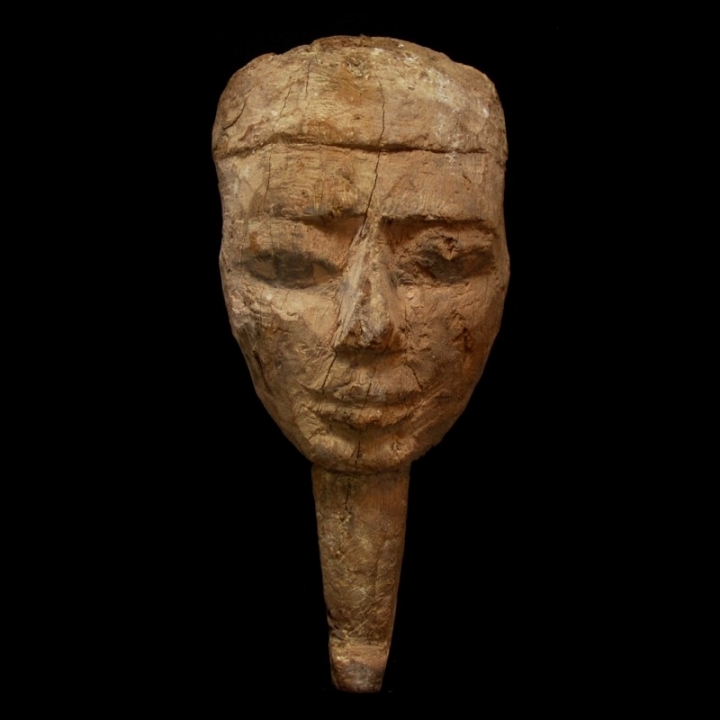 Description: Wood sarcophagus mask with black framed eyes and large pupils. The nose long, the lips thick. The wig starts on the forehead. The long fake beard is still preserved and at the bottom with a protruding shaft. On the back with a tenon for mounting on the sarcophagus. With white and black color remains. Mounted.